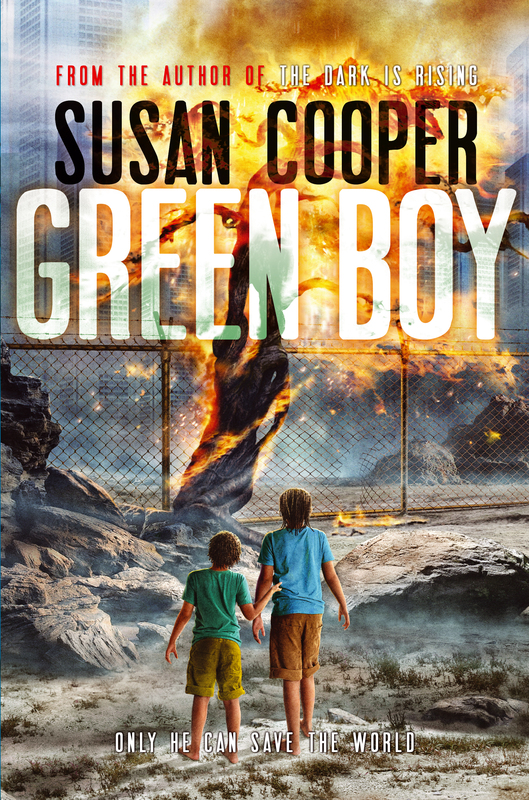 Two brothers encounter danger and adventure in a world of the future in this classic dystopian novel from Newbery Medalist Susan Cooper. On their idyllic Bahamian island, Trey’s little brother, Lou, is different. He doesn’t speak and suffers from frightening seizures. But when he and Trey find themselves mysteriously transported to Pangaia, an Otherworld where pollution and over-development have all but destroyed nature, a militant environmental group greets Lou as the prophesied hero who will save their world. But to realize this prophecy, Lou must take Trey on a terrifying and dangerous mission, with much more at stake than the fate of Pangaia—and it’s not all in the future. Does Lou have the power to save his present-day island home from developers who will turn it into their own version of Pangaia? It was a little fluttering sound in the roof, moving. The living room of Grand’s house reaches up high, with beams across it, and one side open to the porch. Along the top beam the little sound ran, very soft, you could scarce hear it. Then at the wall it turned, and came fluttering down a side beam. You could begin to see a shape now. So small: was it a moth? A spider? Lou was watching. He moved toward it. The little fluttering thing slid down to the floor and rested there. I saw a tiny foot. It was a bird. Lou crouched down beside it and put out his hand. Somehow he knew how to rest his finger behind the bird’s feet so it stepped onto his hand. Then you could see clear: it was a tiny hummingbird, and it was all wound around with sticky spider-silk, so that it couldn’t fly, nor hardly walk. It must have blundered into a powerful big spider’s web. Now it was all trussed up, terrified, there on the palm of Lou’s hand. Lou made a little comforting sound at the back of his throat. Slowly and very carefully, with his other hand, he pulled the fine sticky strands away from the bird’s legs and wings. His fingers were so small and gentle; after all, he’s only seven years old. The bird didn’t move. There it stood on his palm, bright green, an emerald hummingbird. It was the most beautiful thing I’ve ever seen. Its throat was red, and its feathers all different shades of green, gleaming. The spider-silk was all gone now, but still the bird didn’t move. It must have been totally exhausted. Lou gazed and gazed at the bird, and the bird looked back at Lou. “Take it outside,” I whispered. We moved out of the room, across the porch, to the hibiscus hedge, all starred with yellow-centered red flowers like trumpets. Hummingbirds love hibiscus. But the tiny bird still rested there on Lou’s hand, not moving; as though it was giving Lou a present, staying so that he could look. It was so beautiful, I can’t tell you. At last it flew, and hovered beside a flower, and darted away. “Oh man,” I said. I couldn’t think of anything else to say, it was so amazing. Lou smiled at me, and made his happy sound, that’s as close as he can get to a laugh. My brother Lou doesn’t talk, and he has a few other problems too. He’s different. But I’m used to it. My name is Trey, and I’m a writer. I look after him. I’m twelve years old. This is my book, the story of what happened to Lou and me. It was the next day, and we were out in our boat, heading for Long Pond Cay. There was a small breeze, but the water was way calm, and the tide coming in. The boat is a battered nine-foot dinghy that Grand let me have when I came ten years old, though it wasn’t the birthday that did it, it was my growing enough so that my head touched the five-foot mark on the wall. That mark had been there through all my uncles growing up, and my mother and my aunts. Grand said you had to be that tall to have the strength and size to row a boat. The boat’s pretty old. It was the runabout for one of the American sailboats that come here for the winter. The American’s wife had given him a new dinghy for a Christmas present, so he asked Grand to get rid of the old one. Get rid of it? No way! Grand and I re-fiberglassed it. You’d have trouble sinking that boat now even if you tried. When I came eleven and I rowed well enough to get across to Long Pond Cay and back, Grand let me have a little fifteen-horse outboard motor. He taught me to take it apart and put it together again before he’d let me use it, and though it’s even older than the boat, I can fix it when it goes wrong. So sometimes they let me take Lou out in the boat, for the whole day if there’s no school. Grand and Grammie have been raising us for as long as I remember, because our father went away long ago, and our mother has to work in Nassau. They’re old, Grand and Grammie, but they’re busy too; she works in the bank in town, and he runs his bonefishing school, teaching tourists how to catch the quick glittery silver bonefish that feed on the flats all along our side of the island, or sending them out fishing with guides. He’s got eight boats, flat quiet boats with little motors not much bigger than mine, and six guides. He has a little farm too, where we grow bananas and papayas, tomatoes and squash and onions. He’s busy. So he trusts me to keep Lou busy, when there’s no school. There was no school this day. It was July. We puttered along the broad channel between our island and Long Pond Cay, with the sky clear blue overhead, and the water that chalky light turquoise-green that comes from the sunlight bouncing up off the white sand under the sea. There’s shallow water there always, not deep even at high tide, and the banks of sand under the water shift all the time, never the same from one year to the next. But I know where they are, always, Grand and me, and the bonefish guides. Lou stood up in the bow, looking out for his favorite birds. He gave a little pat on the gunwale, to catch my attention, and pointed up—and there was the osprey, the big fish hawk, high up, coasting, the light from the water sending up a greenish tint to the underside of his broad white wings. He called down: peeeu, peeeu, a little high-pitched sound that always sounds undignified coming from such a great grand bird. I knew he was calling to his mate, but it sounded for all the world as if he were calling to Lou. I swung wide round a sandbank still mounded white out of the water; the tide was coming in, but it wasn’t halfway yet. Nobody comes down this channel but Lou and me; the guides go a different way to get to the bonefish flats, and the water is too shallow for the tourists’ sailboats—they’re afraid of going aground. This is our place. He got down and made sure the bow anchor wasn’t tangled in its line, and I saw him look to make sure the other end of the line was tied fast to the boat. He’s a good little crew. Then I headed for the beach in front of the biggest casuarina tree at this end of the island; we use it as a landmark because it’s so tall. You could hear the wind whining through the needles on its feathery branches. Grand doesn’t like casuarina pines, he says they’re invaders from Australia and they drive out the native trees. But I like the way those feathery branches reach up in all directions, and the spooky way they make the wind sing. “Now!” I called to Lou, and he tossed the bow anchor out. When the line had run out after it, I killed the motor and Lou came hopping back past me for the other anchor in the stern. That’s Grand’s rule: off a sandy shore, the boat must be moored at both ends. I tilted up the motor to keep the propeller out of the sand, and Lou jumped out and splashed ashore carrying the stern anchor. It’s a light anchor but that’s hard work for him, he’s not very big. He loves doing it. He marched up the sand as far as the line would let him go, and dug the anchor in. “Good!” I called. Now the boat would stay there, held between the two lines, while the water rose with the tide. I splashed out after him with my backpack, and we walked where we always walk at first, along the broad white beach that curves for a mile or more around a great peaceful bay, where the sea is always shallow and quiet except in a storm. We were both keeping an eye out for sunrise tellins, Grammie’s favorite shells, double ovals tinged with yellow and pink, but there weren’t any today. I could see three rows of footprints, made by large adult sneakers. Some early walkers had been there before us. Lou ran ahead of me. Partway down the beach, he turned away from the sea, into the grass and scrubby bushes that went up from the sand, scattered with casuarina trees trying to find a place where they could grow tall. They were out of luck here; on this part of the beach, a few years back, the waves from a huge storm had eaten away the sand to expose the rock. It wasn’t really hard rock, but a kind of whitish sandstone, made of layers of sand squished together for hundreds of years by their own weight. The rock was cut away like a little cliff, and you could see the thin, thin layer of soil on top, and the skinny black roots of the casuarina trees dangling, reaching out from trees twenty feet away. When the soil’s that thin, I guess the trees have to send their roots a long way out to find a place to live. Lou disappeared. He’d found the gap in the rock that we called our cave, though it wasn’t much more than an opening, and only kids could have got inside it. “Hoo, hoo!” I heard his monkey sound, that’s just like the sound I remember from a movie on television about chimpanzees. “Hoo! Hoo!” He was out on the sand again, jumping about, agitated, beckoning me. I went up to the cave. It’s only about ten feet deep. We have a little space up at the back, where we keep special shells and bits of rock, wedged in with a flat chunk of sandstone so the high-tide sea won’t wash them away. But Lou hadn’t gone into the back yet; he was running to and fro at the front of the cave, pointing. There was one line of sneaker prints here too. I looked at the prints. The person who made them had stopped and peered into the cave, but it didn’t look as though he’d gone inside. He was probably too big. Lou was hooting and gasping; he was really upset. I was afraid he was on the way to one of his seizures. He gets them sometimes if he goes really over the top. Grand says they’re a bit like asthma, a bit like epilepsy, though they aren’t either one. Nobody knows what they are. “Lou—stop it, buddy—it’s all right!” I went into the cave. I was getting too big for it myself now; I had to go on hands and knees at the back. The wet sand soaked seawater into my jeans. I knew he’d want to check on his favorite treasure, so I held it up. It was a star shell, about three inches across, the shape of a chunky starfish with ten arms—but it was made of stone. It was a fossil. Lou had found it somewhere or other on the bonefish flats. We’d shown Grand, and he said the shell and the creature inside it had probably been buried for fifty thousand years. Lou looked into the cave. And then the weirdest thing happened. As I held up the shell and looked back at him, I heard a long sound that was like the wind in the casuarina trees, but much deeper, longer, far away, as if it came out of the rock. It hummed through the cave, filling the space, louder, louder. And the air around Lou’s body seemed to shiver, flickering, the way the air flickers over an outdoor fire as the heat goes up. Lou stood very still, his head up. I knew he could sense something too. He made a sort of questioning, whimpering sound. “What is it?” I said. I may be older than him, but he’s far better than me at picking things up: at hearing birdcalls or spotting fish, at seeming to know what animals want or say. I put down the star shell and reached out to him. The sound that was like the wind in the trees echoed through the rock all around us. The air flickered, shaking the edges of solid things. It was scary. Lou took hold of my forearm with both his hands. He was shaking. “It’s okay. Everything’s okay.” I gave him a hug. Then I showed him the shells, and how they were safe. He put one finger on the fossil shell. “You want to take it home?” I said. Lou took his finger away. He shook his head firmly. He liked things to be in their usual places, he didn’t like change. So I fitted the piece of sandstone back over the little hoard of shells. Lou grunted to himself and trotted out of the cave to the beach. I followed him, and we went on along the white sand toward a cluster of casuarina trees, the biggest of which was our special tree. That was where we always sat, on the blanket of brown fallen needles prickled by tiny casuarina pinecones, to eat our sandwiches. The osprey was sitting in the top of the tree, watching us. We came in very slowly and quietly, settling ourselves on the pine-needle carpet, picking out the prickly cones. Still the osprey stayed there. He knew we wouldn’t trouble him. Lou grabbed my backpack and took out the two little plastic bags I’d put there, a peanut butter and banana sandwich in each of them, and the bottle of water. He was hungry and he was very young and I knew he’d already forgotten about the sights and sounds in the cave. That was one of the odd things about Lou: he picked things up fast, but they didn’t stay to bother him, they ran out of his mind like water so long as you told him everything was okay. But I was still bothered. I ate my sandwich slowly, without really tasting it. I kept remembering the weird humming noise, and the flickering of the air. Where did it come from? What was it? Lou gobbled his sandwich and took a long drink from the bottle. He slipped out from under the tree and flung his last crust of bread up toward the osprey, though he knew the big bird would rather have had a fish. The osprey wasn’t interested. He rose majestically out of the tree and flapped slowly away down the beach. From somewhere close by we heard an excited shout, and we both looked round. Three men were standing on the beach about twenty yards away, staring at the osprey, pointing, fascinated. They looked like tourists. They wore dark pants, and shirts with short sleeves, and one of them, the tallest, had a straw hat on his head, with a rainbow ribbon. It looked like one of the hats Grammie’s friend Esther sold in the center of town, under the big banyan tree. The men had cameras strung round their necks, and one of them was holding some sort of instrument on a tripod, and a long cylinder like a fishing-rod case. I didn’t think they were fishermen, though. The tall one was trying to watch the osprey through binoculars, but the big hawk flapped away over the water, rising higher and higher. One of the other men caught sight of us, and waved. They all three came toward us. “Hey, kid!” the man called. I stood still. I felt suddenly very uneasy, though I didn’t know why. It wasn’t unusual to find a few tourists on this beach; they came out from town in rented Boston Whalers sometimes, to walk on the sand looking for shells, or to cross the beach to the bonefish flats behind. Beside me, Lou gave a little nervous grunt. “What else would they be?” said the tall man. He had an odd accent I didn’t recognize. He took off his hat and fanned his face with it. I said nothing. Lou began to fidget; I could hear his breathing, getting ominously faster. He was sensing something I couldn’t feel. I touched his shoulder, and felt him shaking again. “It’s a fish hawk,” I said. “I don’t know where he nests.” I was lying; I knew perfectly well where the ospreys nested, and had been nesting for four years now, but I didn’t want tourists disturbing them. I reached for Lou’s hand, but he took off along the beach, running, stumbling, always making those awful deep unchildlike grunting sounds. I ran after him, calling. I caught up with him pretty soon, round the curve of the beach, in sight of our boat. I grabbed him and held him close to me, talking all the time, telling him to breathe deep, telling him everything was all right, and gradually he began to calm down. That’s the only thing you can do with him when he gets like this. Poor old Lou, I wonder what it’s like being inside his head; not knowing what’s happening to you, and not able to explain it to anyone even if you did know. He was tired, then, so we got in the boat and went home. There was no sign of the three men, nor of any boat that might have brought them. The tide was rising, the beach narrower than before. Overhead, high up, the osprey was circling, and his mate with him; they wheeled slowly through the sky, and very faintly you could hear their high voices, calling to each other: peeeu, peeeu . . .
Lou was okay by the time we got home. Grand and Grammie were there, in the kitchen. Grammie was mixing up a cake, and she let me have the bowl to lick, and Lou the beater, with a dishtowel under it so he didn’t drip. Grand reached out a finger, ran it along the edge of the beater and sucked it absentmindedly, but he wasn’t really thinking about cake batter. He had a sheaf of drawings spread out on the kitchen table, and he was scowling at them. Grand has a white fringe of curly beard, even whiter than what’s left of his hair, and normally it makes him look picture-book kind and gentle; but when he scowls, his eyebrows join in the middle and the beard juts out ominously. Grammie smoothed the batter in her cake pan with a knife. “Have you called the National Trust?” she said to him. I put down the bowl and looked over his shoulder. The top page was some sort of plan, with sketches of buildings. “What’s the matter?” I said. Lou made a small noise, and put down the beater on the floor. Grammie poked him with her foot, and he picked it up again and reached it up to the sink. But he was looking at Grand. “They can’t do that!” Grammie said. “Normally known as Long Pond Cay,” said Grand. “I don’t believe that,” Grammie said. She’s a plump, cheerful lady with a round friendly face, but her eyes didn’t look friendly now. “And our beaches,” Grammie said. She looked at her cake pan, sitting there full of batter, and got up to put it in the oven. “No more fish hawks if the bulldozers come,” Grand said. Lou was fidgetting, the way he does when something’s upsetting him. He can’t keep still then; he moves to and fro like a penned-up dog. He wandered out from the kitchen into the living room, and I saw him squat down near the porch in that suddenly intent way he has. He’d discovered something. He brought it back to show us, opening the palm of his hand to Grammie with a mischievous little grin. It was a shiny black millipede, curled up into a circle. Lou’s loved playing with them ever since he was a baby, and Grammie hates them. Lou looked interested. He peered closely at his millipede and sniffed it, and Grammie squawked. "Readers are likely to be pulled in by the sensitive portrayals of Trey and Lous, the mysterious adventures in Pangaia and the whilrwind climax." “Cooper … writes movingly about the beauty of the Bahamas." "An intriguing and truly lovely book." "Cooper...hints at her virtuoso ability to deepen everyday occurrence into resonant mythic narrative." 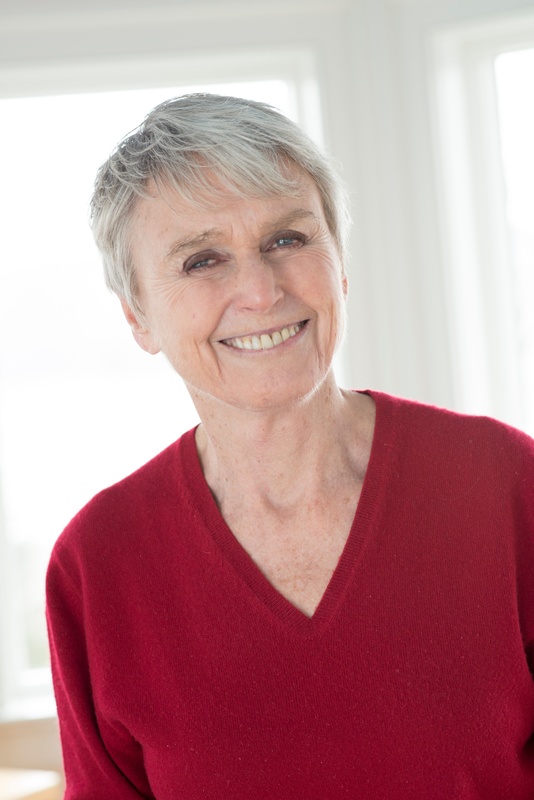 "The lyrical nature writing evokes the fragility and the power of a spider's silk, the miracle of a seashell, the physical connections of the wind, water, and sand." "Real moments of near-tangible peace."